As June rolls around, coyote pups have emerged from the den and are growing fast, as seen in these images we recently captured on trail cameras in Roswell, GA. The pups will explore and feed on their own, but they are not completely independent from their parents. Howling helps to keep the family unit in touch with one another when they temporarily separate. 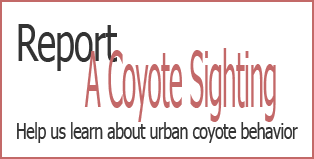 It’s nothing to be alarmed about, but keep pets safely inside at night and make sure that coyotes don’t have easy access to food sources in and around your property.